The Fatherhood Institute: You need to register to access full services. 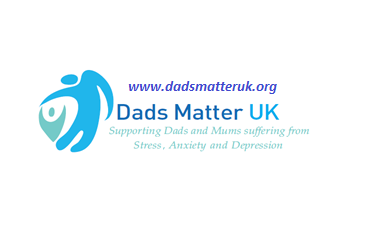 Dads House – a London based charity aimed mainly at single dads, packed full of advice, social events and support for dads. Daddy Natal – support for Dads to be the best birth partners they can be, and to be the best dads that they can be. They recognise becoming a dad starts before birth, and continues for life, and offer both DaddyNatal antenatal classes (for men only) and New Dads classes (for Dads & Baby only) for when baby has arrived. Home Dad – support group dedicated to helping dads who are staying at home to bring up their children. They have over 500 members who are either at home full-time, work part-time or are raising kids on their own. Families Need Fathers Both Parents Matter Cymru They work to help both parents have meaningful involvement in their children’s lives if the parents separate. They estimate that roughly one breakdown in three that they see has been caused by the mother having a postnatal illness which has not been identified. Home-Start offers support, friendship and practical help to parents with young children in local communities throughout the UK and with British Forces in Germany and Cyprus. They also run perinatal projects in some areas of the country, their site has videos featuring volunteer stories and examples of personal experiences. Pandas Foundation aims to make sure that no mum, dad, or family feels as if they are alone. Whether this is through email, phone, or at a group session. They also work to raise awareness of the illness in both Mums and Dads. Baby Book For parents to be through to carers and parents of pre-school children. For the Colchester and Tendring areas but has useful advice and information for all parents. Netmums - Netmums also has local sites containing parenting articles that start with pregnancy and follow through each stage of childhood, considered by many in the media to be an influential lobby group. They provide information on local Postnatal depression (PND) support groups, and lots of information about coping with PND, and having another baby after PND. Other people have been on this journey and written about their experiences which can help you understand your own journey or how o help others:. Eyes without Sparkle: A Journey Through Postnatal Illness’ [Paperback] Elaine A. Hanzak The author explains the journey she has taken from a confident person through severe post natal depression and back. An informative book that is not full of jargon words but clearly explains the realities of living through this illness. It is coordinated by the Social Perspectives Network and supported by the Department for Education. Perinatal Illness UK – is a charity for women and their families who think that they may have any type of Perinatal Illness, including PND and birth trauma. They are a registered Stakeholder with NICE, which means that they can have a say in the development of clinical guidelines for Ante and Post natal mental health. Royal College of Psychiatrists – on their website you can download a variety of leaflets on mental health during and after pregnancy and watch a video clip about Postnatal depression. It has useful information about what help and support you should receive if you have an existing mental health problem and information leaflet for carers. National Childbirth Trust (NCT) – Offering information on pregnancy and childbirth for parents – has a number of policy briefings available including ‘NHS postnatal care’ has particular reference to PND and services and support for suffers. National Institute for Clinical Excellence – (NICE) are responsible for providing national guidance on promoting good health and preventing and treating ill health. Rethink – is a useful site which does not really deal with PND but a variety of severe mental illnesses such as bipolar disorder and schizophrenia. However, they have a wealth of useful factsheets that are free to download, topics range from Rights to NHS Treatment, Suicide Prevention, Advice for nearest relative, benefits, finance and legal issues. Have you got postnatal depression or is it the baby blues? Who can help and how you can help yourself. Who you can or should contact when things aren’t going well. Want to tell us about you, pass on some information or help us fundraise – here is where to contact us.